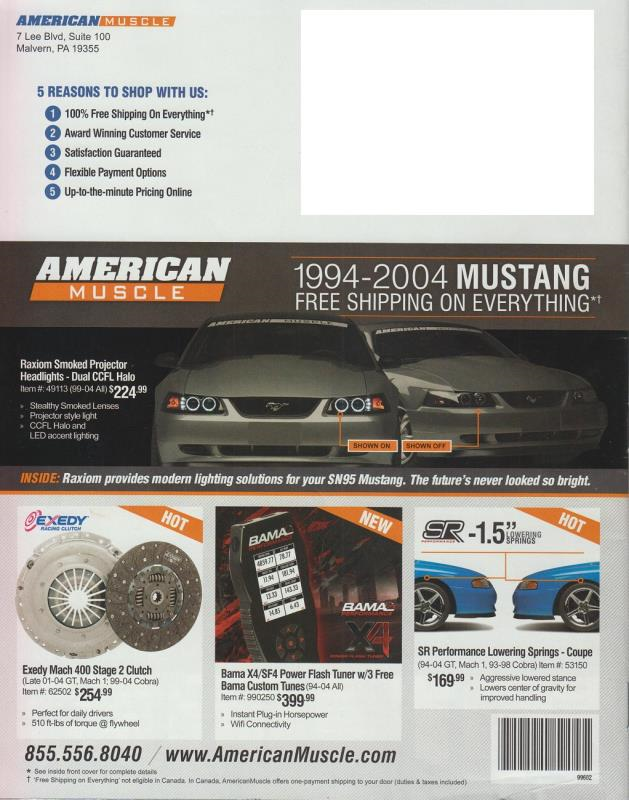 In this edition of American Muscle Catalog, you can find Mishimoto's Mustang performance parts like our 97-04 GT Mustang Radiator, 14in. Performance Slim Electric Fan, and our 96-04 Mustang V8 High Flow Thermostat! Whether you drive your Mustang on the track or everyday, you can count on Mishimoto to keep you cool!